First Break - Nov 2017 - Special Topics Azizur Rahman Khan, Turki M. Al-Ghamdi and Fuad A. Al-Somali The use of streamer or Ocean Bottom Cable (OBC) techniques for a seismic survey in a complex marine environment present major operational challenges owing to islands, large variations in water depth within a few kilometres from the shore and a complex sea floor because of canyons, pinnacles, steep reef flanks, rugose sea floor, and corals. Salt-dominated provinces, too, present a complicated geological setting — deep targets below salt layers of variable thickness, salt mounds, massive halite and anhydrite layers in the overburden, a highly rotated post-salt section, steep geological dips at the target level, and a complex fault system. Complexity of the survey area requires novel approaches and customized seismic data acquisition technologies for a cost-effective imaging solution. We present four innovative marine seismic technologies, tested to assess their efficacy in acquiring long offset wide azimuth data, in a logistically complex marine environment. A breakthrough in marine seismic. 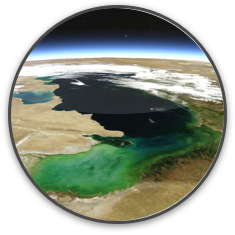 of towed streamers with the data quality of sea bottom systems. FreeCable delivers broadband, full offset, full azimuth high fold data with an amazingly high signal to noise ratio. 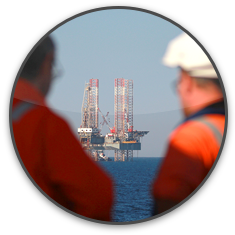 Operating 24/7 with on or more shooting vessels, FreeCable delivers high productivity without compromising quality. Cable depth, cable length and shooting geometry are easily adapted to align the survey design to the customer’s objectives. Designed to match your expectations. The FreeCable system is adaptable to customer data quality and productivity requirements. 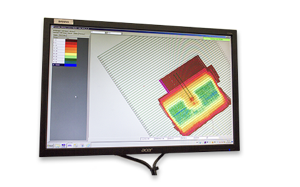 From exploration to production, the geometry of our system has many adjustable parameters and ample scalability to design the perfect survey to match customer expectations. 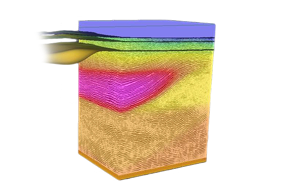 FreeCable delivers the exceptional data quality and full target illumination needed for reservoir characterization and monitoring. The high productivity of the FreeCable system ensures that the data is available in a timely and cost-effective manner. FreeCable can be configured for higher productivity while still delivering exceptional data quality. The economics make it realistic to consider proprietary shoots tailored to specific targets instead of settling for the consensus parameters of multi-client data. 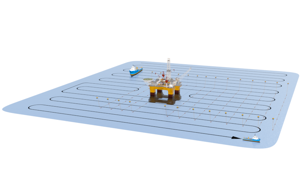 The entire FreeCable system is transportable over land, opening up the possibility of acquiring state-of-the-art 3D seismic data in closed seas and lakes. 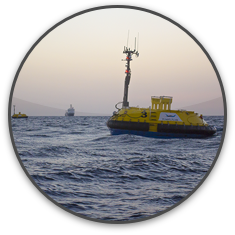 FreeCable can also be operated in waters shallower than 5m depth, and is well-suited to areas where ice is present.